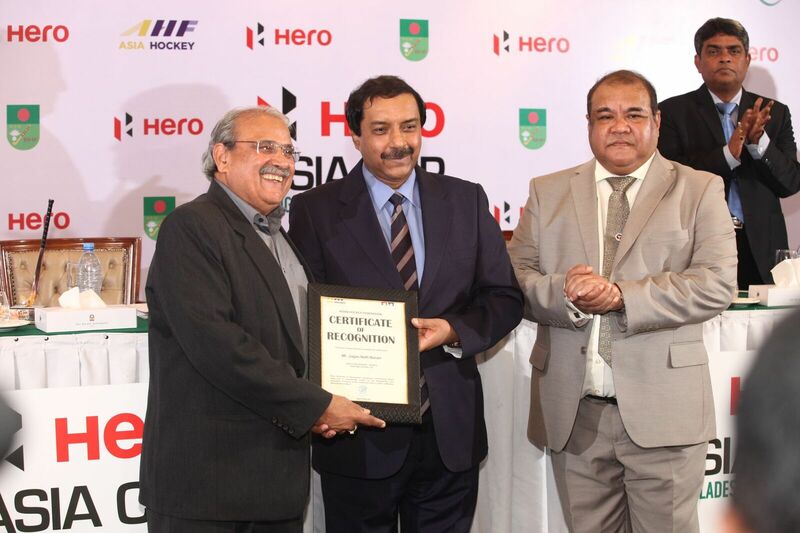 Dhaka, August 21, 2017: The Asian Hockey Federation (AHF) today announced Hero MotoCorp Ltd, the world’s largest two-wheeler manufacturer, as the title sponsor of the Men’s Asia Cup 2017, which will be hosted by the Bangladesh Hockey Federation. The 10th edition of the quadrennial event will take place at the Maulana Bhashani National Hockey Stadium in Dhaka, returning to Bangladesh for the first time since 1985. 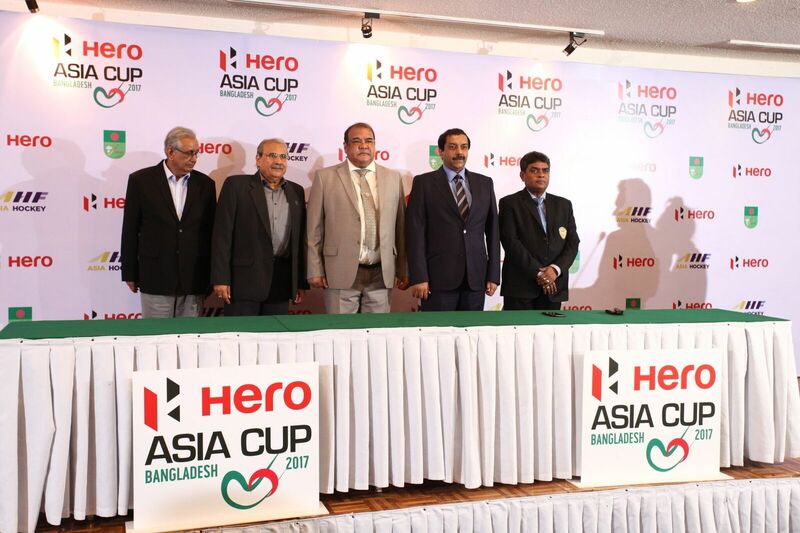 The tournament will take place from October 11 to 22, 2017, and will be titled the ‘Hero Asia Cup 2017’. The New Delhi (India)-headquartered Hero MotoCorp is one of the biggest global supporters for the development of hockey through its long-term association with the International Hockey Federation (FIH) and has a shared vision for the growth of the sport via landmark tournaments like the Hero Asia Cup 2017. Introduced in 1982, the inaugural Men’s Asia Cup was won by the nation Pakistan who also won the next two editions in 1985 and 1989. Since then, India (2003, 2007) and Korea (1993, 1999, 2009 and 2013) have also been champions in the nine editions played so far. The tournament will witness stiff competition among the top performing teams from across Asia with big stakes at play, the biggest incentive being a direct ticket for the winning team to the World Cup which is scheduled to take place in Bhubaneswar, India from November 28 to December 16, 2018. This year, the premier continental tournament will feature host nation Bangladesh along with China, India, Japan, Korea, Malaysia, Oman and Pakistan. India is the top ranked team amongst the competing teams at 6th position in the latest FIH Hero World Rankings, while Korea, the current title holders is ranked 13th in the world. World number 12 Malaysia, riding high on an excellent performance in the recent Hockey World League Semi-Final in London, and world number 14 Pakistan round up an exciting mix of teams promising a fiercely disputed tournament ahead. AHF President HRH Prince Abdullah Ahmad Shah was pleased to confirm Hero MotoCorp coming on board as title sponsors of the tournament and Hero’s support as the lead partner of Asian Hockey Federation. For the past 16 consecutive years, the New Delhi (India)-headquartered Hero MotoCorp has remained the world’s largest two-wheeler manufacturer in terms of unit volumes sold by a single company in a calendar year. Since its inception, Hero has sold over 70 million motorcycles and scooters in cumulative sales. Hero MotoCorp currently sells its products in 35 countries across Asia, Africa and South & Central America. Hero MotoCorp has been associated with various disciplines of sports including golf, cricket, field hockey and football for over two decades now. Hero MotoCorp is the Title Sponsor of the Hero World Challenge – a Tiger Woods invitational, PGA-sanctioned event, which features the 18 top golfers in the world. Fourteen-time major winner Tiger Woods Hero’s Global Corporate Partner and Atletico Madrid Coach Diego Simeone is Hero’s Brand Ambassador. In India, Hero MotoCorp has been hosting the men’s and women’s Hero Indian Open golf since 2006 and 2010 respectively. Hero has been the Title Sponsor of Hero Indian Super League – the first-of-its-kind franchise-based football tournament in India – since 2014. Hero MotoCorp also sponsors the Indian National Men’s and Women’s Football teams. 26 April Indoor Asia Cups day 2 round up.